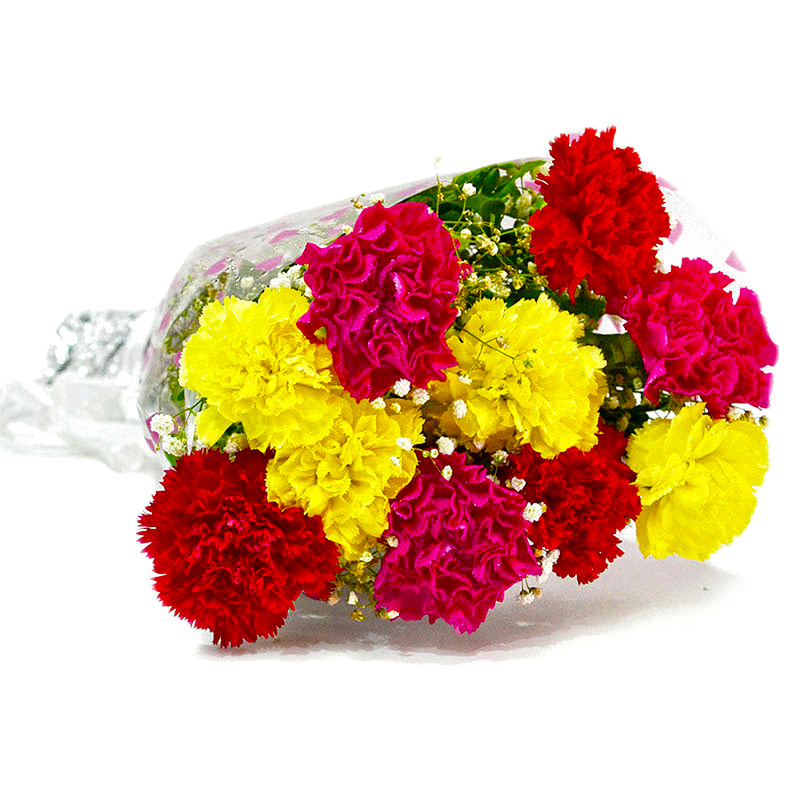 Product Consists: Bouquet of 10 Multicolor Carnations with lots of green fillers. 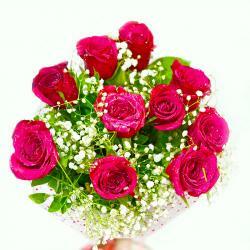 Add a spring like sunshine to brighten the special day of your loved ones by treating them to these sprightly flowers. 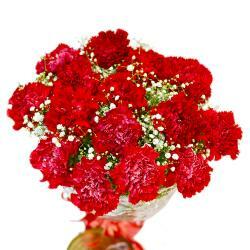 This is bunch of colorful breath taking carnations that entice anyone with its stunning fragrance. 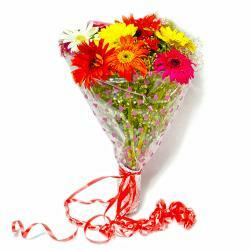 Flowers are tied together with a matching ribbon in bow and it is adorned with awesome cellophane wrapping that makes the bunch look extraordinary. Book your order for this heart touching gift on special occasions of Birthday, Anniversary, Best of Luck, Durga Puja, Womens Day loved ones and make them feel special. We are sure it will strengthen your bond. 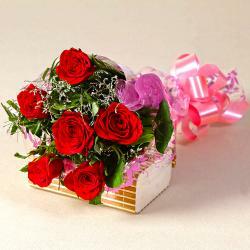 Product contains : Bouquet of 10 Multicolor Carnations with lots of green fillers.